Lead time: 7-10 working days to print and complete the cards. *Optional: to add in a ribbon, strings, etc, please get in touch with us to personalize the cards. 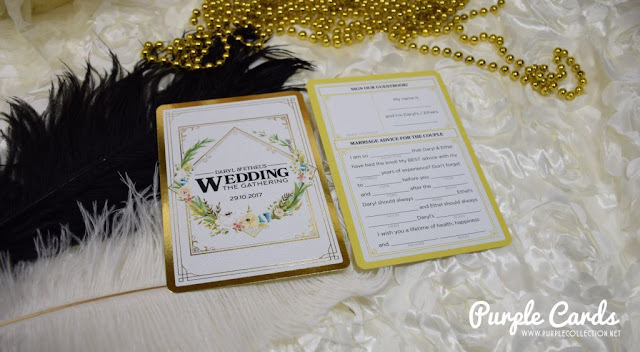 To inquire about wedding invitation card designing and printing services, please submit your inquries here for quotation. We'll do our best to reply to your email as soon as possible.